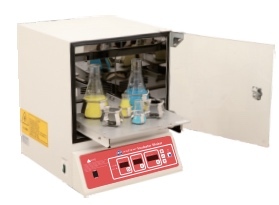 APEX is dedicated to making your life science bench top equipment shopping quick and easy. 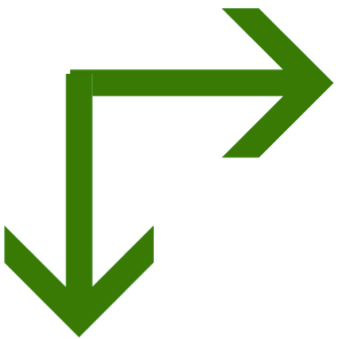 Use our Quicklinks shopping selection guide below to reduce clicks to your product. Choose the item you are looking for and get right to selecting your size and ordering your unit. If your are looking to do some product research, we've got you covered there too! Continue below to our detailed descriptions and specifications for each APEX lab bench line you are interested in. APEX prides itself on providing high quality lab bench equipment for the best industry prices. We have already done the research for you and compared vortex, centrifuge, balances, rotator, revolver, water bath, stirrer, and dry bath equipment across the industry to find the best combined price and quality lab bench equipment. We can support your name brand needs like Eppendorf, Sartorious, Benchmark, Labnet, Scientific Industries, CAPP and many others. If you are looking for a name brand, email or call us and we will be happy to get you a competitive price on the lab bench product of your choice. Citizen Top Loading Precision Bal. Citizen High Capacity Precision Bal. Needing a durable and flexible centrifuge solution? The CAPP Rondo Centrifuge line covers your high speed needs from 6000 rpm to 15000 rpm and can accommodate up to a quantity of 12 2ml tubes. The CR-68X is the perfect small load microcentrifuge solution with variable speed ability, an on-board timer, and last run memory. Its flexible design comes with the adapters to hold 8 1.5/2 ml tubes and 2 strip tubes. The CR-1512 is the go to centrifuge for your higher (15k rpm) speeds and larger loads with the capability to hold 12 1.5/2ml tubes. 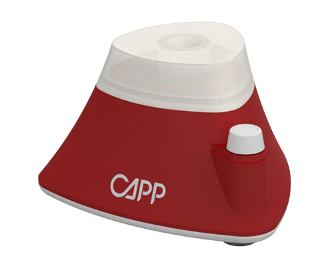 All CAPP Rondo Centrifuges come with a quite motor and imbalance detection with auto cutoff to protect the user and equipment. These sleek centrifuge systems even come with an internal calibrating microprocessor to make sure your lab work stays simple, accurate, and efficient. 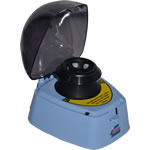 The Crystal Mini Centrifuges are specifically designed with a small footprint and light weight plastic material to fit onto a lab workers crowded lab bench space. The fixed speed options of 4000 RPM, 6000 RPM, and 10,000 RPM allow the selection of an economical unit that fits your spin down needs. Theses units come with an automatic shut-off when open as well as the ability to accommodate 8 1.5/2 ml tubes or 2 strip tubes. 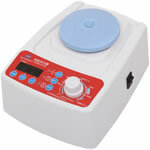 If you are looking for a compact centrifuge unit that that is affordable and effective at quick spins, microfiltration, cell separation, and many other applications, then the Crystal Mini Centrifuge is for you. 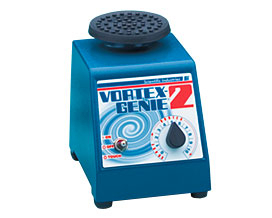 The Scientific Industries Vortex Genie 2 is the most popular Vortex option throughout the laboratory and medical markets. The durable body design as well as the thermoplastic rubber cover is impervious to chemical spills and is known for having a very long life. The specially designed feet and body weight keep the Genie 2 stable even at the highest agitation speeds. The variable speed knob allows flexible operation at speeds from 600 to 3,200 RPM. The SI Vortex Genie 2 is the long lasting adaptable vortex solution that will bring ease to your lab processes. The CAPP Rondo Mini Vortex Mixer brings high speed vortexing together with high sensitivity into one unit. The light touch sensitive turn on and the precise variable speed control button allows for high precision mixing and flexibility. The maximum speed of 4500 RPM allows for some of the fastest vortex speeds. Even under variable loads, the internal microprocessor will adjust to the differ loads to provide maximum speed. This clever low to bench top design combined with the built-in counter balance system insure great balance regardless of vortex speed. 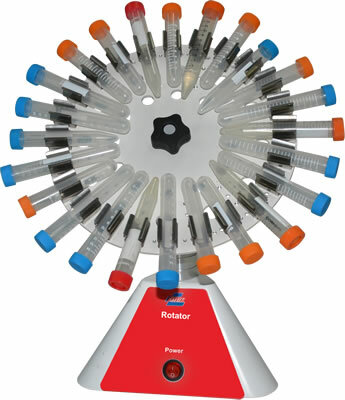 The CAPP Rondo Mini Vortex Mixer is an impressive combination of precision and speed all wrapped into a smart low footprint design made for the lab bench. The Crystal Mini and Digital Vortex Mixers offer a variety of control and speed options to fit your lab application. The Mini Vortex Mixers are the perfect economical option for a user needing a small footprint and speeds up to 3000 RPM. The Mini's steel base and durable head give it a long a durable life. The Digital Vortex Mixer opens the door to speed control and multiple operation modes. The Digital includes timer functions, light touch to turn on, or even a continuos on options. The variable speed control allows for speeds from 200 to 3000 RPM. The Crystal Digital Vortex also has 9 different head options to accommodate all of your vortex mixing needs. The Crystal Tube Rotators provide high precision and flexibility to your mixing applications. Using the circular motion of the rotator allows for an effective but gentile mixing of your solutions. These units come with an adjustable head for 0 to 90° angle mixing and are complemented by their large selection of tube holder assemblies to fit your lab needs. You even have the choice between our digital version with variable speed control and our standard fixed speed rotator. Whether you need an accurate and repeatable mixing protocol or flexible mixing in many different orientations and speeds, the Crystal Tube Rotators will exceed your need. The Crystal Tube Revolvers combine rotation with oscillation to mix fluids completely and effectively. These units come in both a standard fixed speed option as well as a digital variable speed option. The maintenance free and quiet motor combined with a "plug and play" operation make these very user friendly revolvers. These tube revolvers also open the door to customized mixing with adjustable paddles that allow you to change the angle your tubes rotate at. Get the Crystal Tube Revolvers into your lab and get to mixing fast and easy. 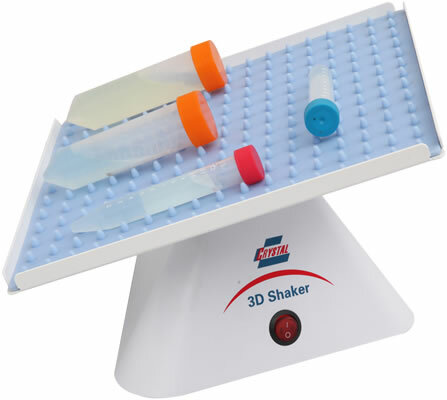 The Crystal Tube Shakers come in a variety of platforms including the 3D Nutating, Orbital, and Incubator Shakers. The 3D Nutating shakers combines the motion of an orbital shaker with a rocker to provide an extra level of mixing while still remaining gentle to your solutions. The Orbital Shaker platform is designed for large shaking loads, but still takes care of your solutions with gentle speed up and slow down as well as power outage recovery. 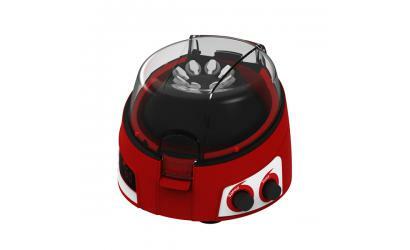 The Bench Top Incubator Shaker allows you to take your solution shaking to another level with variable speeds from 30-300 RPM as well as heating up to 80°C. With these three shaker platforms options and their great features, the Crystal Shakers are sure to have a solution for your specific applications needs. The CTI Rockers combine an easy to use design with gentle mixing rocking. Rockers are most prominent when Rocking Western Blots, as well as solutions and samples throughout other applications. This rocker line comes in both a standard fixed speed platform as well as a digital variable speed platform with timer function. The reliable and ultra quiet motor make sure that the CTI Rockers are a positive addition to your lab. The CTI Mini Roller line provides maximum versatility with their ability to stack two units for space saving as well as install up to 11 roller bars. These units also allow the user to space rollers at different distances to accommodate a variety of tube sizes in the same run. The CTI Mini Rollers are designed with an anti-corrosive and wear resistant body and rollers that make it the perfect solution for mixing in CO2 and humid environments. Combined with the roller accessories like the remote control box and 3D rocker rollers, the CTI Mini Roller Line is the unit for your various applications. With versions including mult-positions, motorless, economical, and low profile the CTI magnetic stirrers have the perfect fit for your lab applications. The motorless stirrer lines have digital displays with a wide range of speeds and timer functions. The low profile unit has the same advantages of the motorless units, but with a sleek small footprint design that includes a high grade waterproofing coating. Due to its fully sealed body ad detachable control panel, the multi-position stirrers are the best fit for any stirring needs in wet environments like a water bath. 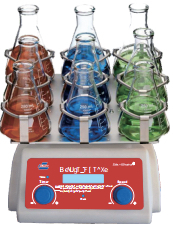 And for the researcher looking for an economical solution without losing variable speed and timer functions, the CTI motor driven magnetic stirrers are the best solution. The CTI Hotplate Magnetic Stirrer combines heating and stirring capabilities into one unit to increase mixing completeness with your labs solutions and samples. These units have a quick heating speed of 8 minutes from room temperature to 300°C max temperature. The durable design includes a high grade aluminum alloy plate with an anodized surface that is resistant to corrosion. The CTI Hotplates also come with an aluminum body and maintenance free brushless DC Motor to increase hotplate life and decrease user maintenance. These features along with the "hot temperature" warning light insure a long last and safe solution to your heating and stirring needs. 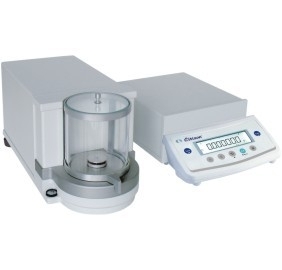 Citizen Micro Balances are designed to bring accuracy to small mass measurements. 1 μg readability, auto calibration to account for changes in ambient temperature, and a complete metal and glass design ensure that this micro balance line is not affected by temperature drift or electro-static charges and the user will always get precise results. The design also includes a LCD graphical display and easy to use menu to make sure these balances are easy to function for new and experienced users alike. The Citizen Micro Balances also come standard with RS-232 and USB communications so that integration into your data recording systems can be easily done. These communications also open the possibility of user built programs that streamline mass measurement for large repetitious projects. So if you need an accurate and easy to use and/or integrate measurement system, the Citizen Micro Balances are a great solution. Citizen Semi-Micro Balances 0.01 mg readability allows users to key into small mass measurements accuracy while also allowing the flexibility to measure masses as large as 220 grams. 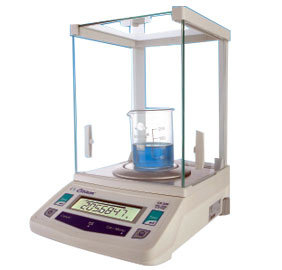 These balances have a simple weighing application for the general mass measurement, but are also accompanied by 7 programs highlighted by piece counting, statistics, density measurements, and more. The fully automatic internal calibration along with the self calibration ensures accurate measurements regardless of ambient temperature chances over long operation periods. The calibration features combined with the easy to read and control LCD display, make a for a very pleasant experience for the Citizen balance user. 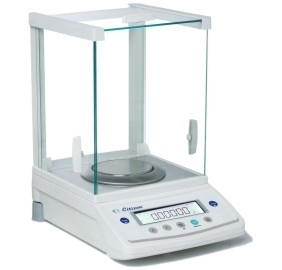 Citizen Analytical Balances come in both an internal calibration design and an economical external calibration design. The external calibration units come with a full complement of sensors for temperature and vibration as well as an internal timer that all trigger alarms to notify the user the need for calibration. The internal calibration units have the same sensors but automatically adjust the internal calibration with the built in weight for seamless and accurate mass measurement even over long operation periods. 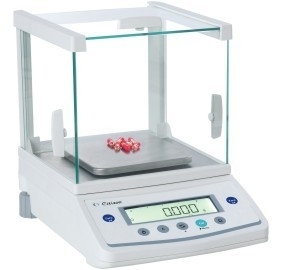 With a 0.1 mg readability and potential 400 gram max weight, the Citizen Analytical Balances are the solution for your general laboratory measurement needs. 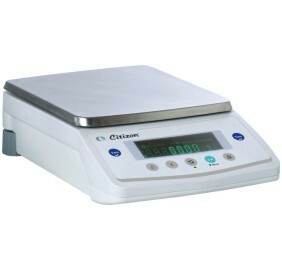 Citizen Precision Balances come in both an internal calibration design and an economical external calibration design. The external calibration units come with a full complement of sensors for temperature and vibration as well as an internal timer that all trigger alarms to notify the user the need for calibration. The internal calibration units have the same sensors but automatically adjust the internal calibration with the built in weight for seamless and accurate mass measurement even over long operation periods. Depending on your measurement needs, the 0.001 gram readability and potential 1000 gram max weight may make the Citizen Precision Balances the perfect fit for your application. 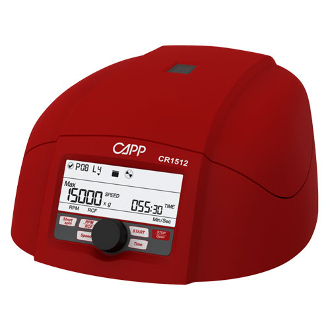 Citizen Top Loading Precision Balances typically come in the standard external calibration design, with an additional automated internal calibration version as well. The external calibration units come with a full complement of sensors for temperature and vibration as well as an internal timer that all trigger alarms to notify the user the need for calibration. If your lab has a need for a fast adjusting that adjust automatically for high accuracy over long measurement protocols, the internal calibration unit is an option with its automatically adjusting internal calibration with a built in weight. 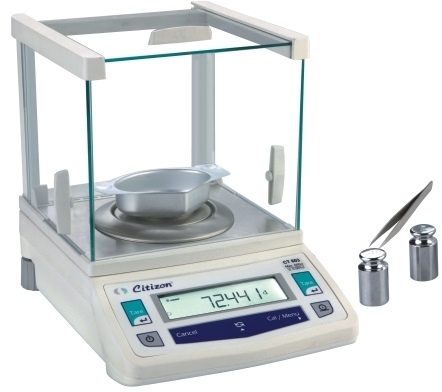 With a 0.01 gram readability and potential 6100 gram max weight, the Citizen Top Loading Precision Balances is the perfect solution for larger mass measurements in the lab environment. 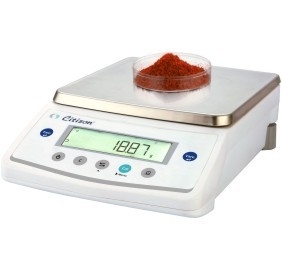 Citizen High Capacity Precision Balances come in a durable design meant for large mass capacities and long lasting accurate measurement. These units come with the same simple and easy to use interface that all Citizen balances are known for, as well as a large and easy to read backlit LCD display. All high capacity balance units come with an internal electromagnetic weighing mechanism that insures accurate measurement throughout a large load capacity. 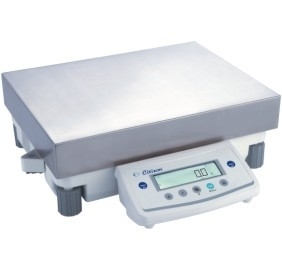 With its 0.1 gram readability and up to 100 Kg max weight, the Citizen High Capacity Precision Balance is the best solution for all of your large mass weighing applications. CTI Digital Dry Baths bring stability and accuracy to dry heating applications like Rh studies, enxyme reactions, and cholesterol determinations among other applications. With the internal microprocessor with automated PID temperature control program, you can know your samples are getting stable and accurate temperature baths. Safety was key in the design of these units with a reliable overheating alarm, automatic shut off, and beep alarm when faults are detected all included in these dry bath units. Combined with multiple aluminum block options, the CTI Digital Dry Baths combine accuracy with versatility to fit your specific application. Internal microprocessors bring fast and precise control to the CTI Mini Water Bath line. 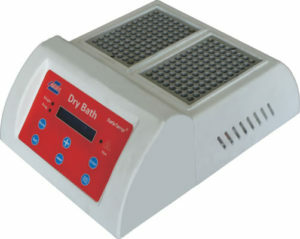 Safety of you and your samples is also key with the incorporated overheating alarm and automatic heat shut off to prevent dry burning of the bath and over heating of the unit. 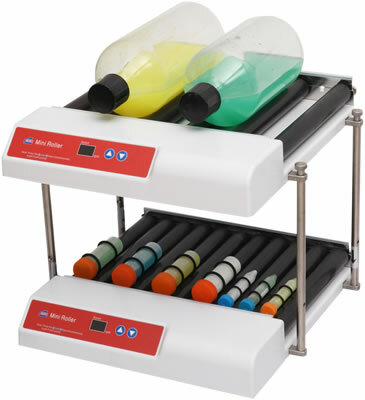 With a range of tube holders, these water baths are versatile to the many heating applications found in the lab. 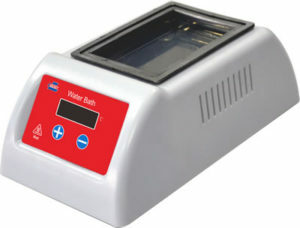 Whether you are planning for long heat baths of small tubes, or a quick heat shock of larger samples, the CTI Mini Water Baths will bring you reliable heating for all of your various applications.